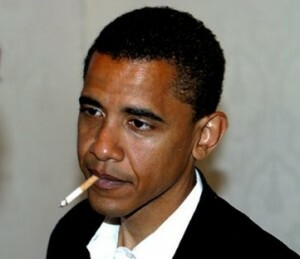 Barack Obama has admitted to falling off the wagon when it comes to stopping the nicotine habit. He reportedly chewed Nicorette gum while on the campaign trail. Wonder how he’ll hold up now that he will have the US economy, foreign policy, and housing crises to contend with. On overall health, though, it appears that Obama is otherwise fit and working hard to stay healthy. On the campaign trail, he reportedly managed to fit in 45-minute workouts six days a week. He admits that occasionally sleeping takes precedence over working out, however, as working out must be done before the day starts. We are rooting for Obama and anyone else who wants to stop smoking! According to Dr. Abraham Ishaaya of located in Los Angeles, California, “Taking care of the patient as a whole is critical to achieve ultimate well being.” He explains that one condition can affect others. So, smoking affects sleeping, which can affect a person’s weight, and the cycle continues from there. Obama seems to have the right idea—try to stop smoking, as well as work out, eat right, sleep right, and all of those other simple things that sometimes seem so hard to do!